Professional teeth cleaning/scaling/oral prophylaxis does not harm the tooth structure. Will my teeth become loose after a cleaning? 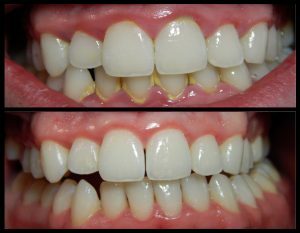 Teeth do not become loose after a cleaning. Sometimes excessive accumulation of tartar/calculus itself holds the tooth in place. Upon removal of the tartar/calculus, teeth may feel loose, but this is actually due to loss of gum/bone support. You will feel a change for the better within just a few days.